In 2018, the VaynerX portfolio expanded with the addition of One37pm (a men’s lifestyle publication within The Gallery Media Group) and Tracer (a marketing data aggregation and reporting platform). 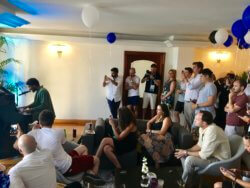 To promote the new scope of the VaynerX family, we headed to Cannes Lions and set up shop with the VaynerX Lounge: a three day activation that showcased VaynerX thought leadership and enabled networking and business development amongst VaynerX and our clients and partners. 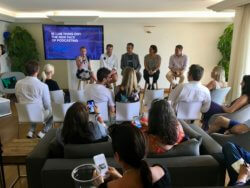 For three days, the VaynerX Lounge took over a penthouse apartment directly on the Croisette, the central thruway of Cannes Lions, and featured panel discussions with VaynerMedia leadership and partners as well as happy hours, connected yoga, live music and more. Each day of the activation was themed around one of two core focuses for VaynerX, including Culture Hacking & Trends, and Smart Tech and Voice. Thank you to our 2018 partners of the VaynerX Lounge: Foursquare, Ramona, Wondery, Wattpad, Nadi X, and Lucky Jack Cold Brew Coffee.